Start by setting up your Kamado Joe Classic II with the deflector plate on the lower level of the Divide and Conquer System, placing the Cast Iron Griddle above it at a 90º angle and the standard grate next to it. Build a fire for medium-high heat and start by placing the tomatoes on the grill grates to soften them. Slice the brisket point pencil thin, across the grain, and spread Plowboys BBQ KC Crossroads on one side. Place the brisket, sauce side down, on the griddle and cook it until browned, move it to the indirect side of the griddle to finish cooking. While the brisket cooks, toast the bread on the standard grates over indirect heat. 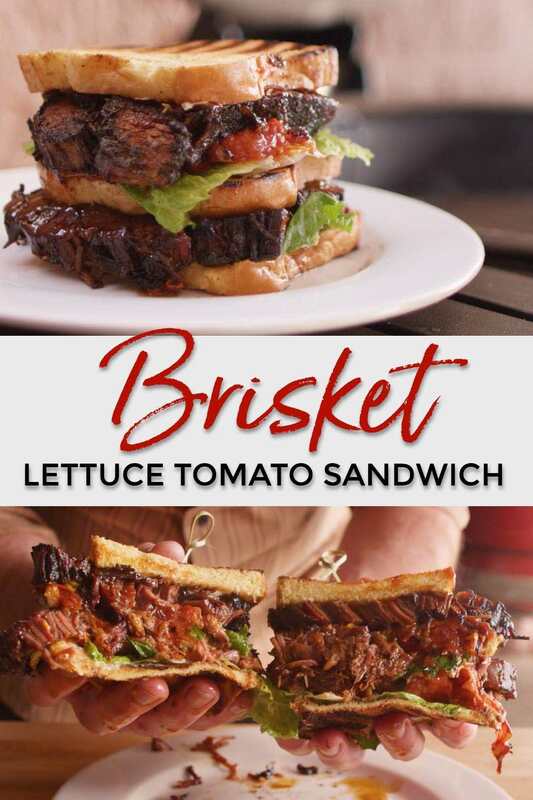 To build the sandwich; take a piece of toasted bread and spread mayonnaise on it, then a piece of lettuce, smear the charred tomato onto the lettuce and place the brisket on top. Repeat and top with your final piece of bread. How about a video about the yonder charcoal bbq. There is nothing out there but a few pictures.